If you’re designing a new garage or replacing your garage door, then size matters. Specifically, the size of your garage door. In your design planning, you may have come across doors of different sizes – single garage doors and double garage doors. A single garage door generally has maximum dimensions of 10 x 7 feet, while a double garage door can measure as much as 16 x 7 feet. So, how do you know what you need for your garage? 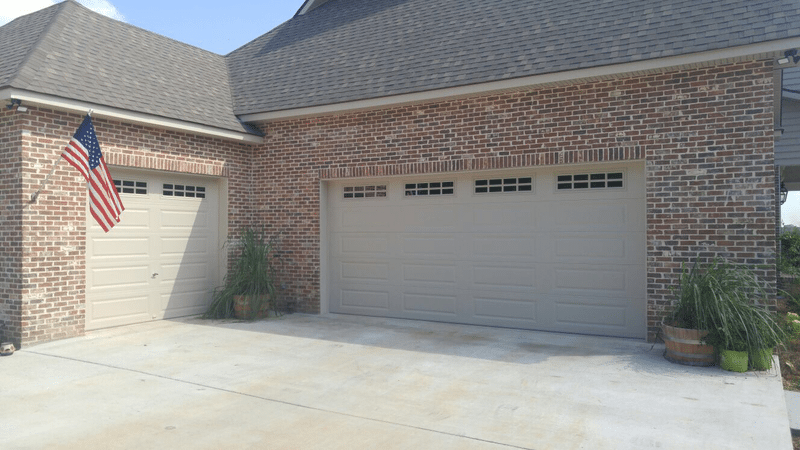 There are a few things to consider when deciding if a single garage door is right for your garage. First of all, what do you use your garage for? If you don’t use your garage for storing a vehicle, then a single garage door will probably be enough. If you’re parking a single car in your garage, then a single will be fine in most cases, unless you have a large car like an SUV. You want to make sure there’s plenty of room to get out on either side of the car, so measure up your car against the garage door to determine if you’ll need more room than a single door provides. If you park two or more vehicles in your garage, then you will definitely need more than a single garage door. If you’ve decided that a single garage door won’t cut it, then you have two choices – a double garage door or two single garage doors. Part of this decision will come down to aesthetics and tastes. Which design do you prefer the look of? Some designers will advise that a large, double door is quite imposing and can disrupt the look of the front of your house, while two single doors look more balanced. If you’re parking two vehicles in your garage, then they can just as easily fit through two smaller doors than one large door. However, remember to consider the size of each vehicle. Larger vehicles will fit more easily through a double garage door, giving you plenty of space to exit the vehicle and move around it in the garage. Two single doors can also be more practical than a double door. If your double door malfunctions, then you could end up locked in or out of your garage, whereas one of two single doors malfunctioning still leaves you with one functioning door to use. Plus, two single garage doors can also be more efficient as they let in less air from outside. This means that less cold air enters your garage in the winter and less hot air in the summer. Once you’ve decided what is right for your garage, you can call us at Carolina Garage Door for all your installation needs around Winston Salem, Greensboro, High Point, and Kernersville.